You are here: Home Forum Home Stern Drives Where to find vintage boat instrument panels? 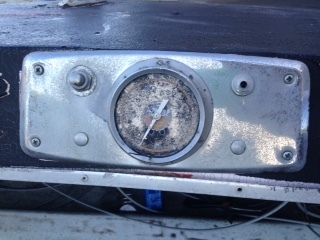 Where to find vintage boat instrument panels? TOPIC:	Where to find vintage boat instrument panels? Anyone know where to find vintage or vintage looking instrument panels? I am in the process of performing a repower on an older (1966) boat and the instrument panel that was in the boat was pretty worn out and won't work in my repower application. The boat had an old Volvo I/O and I'm installing a new Mercury. I'd love to find a vintage Mercury instrument panel to put in and hopefully be able to add a tachometer that has the oil and temp idiot lights in it. Any ideas where to look? eBay and Google have not come through for me so far. 20.5' 1966 ClipperCraft, 18' 1978 Olympic, and a 12' 1959 Elgin Car Top. Ebay will probably be your best bet, but may require patience. Anyway, that should be enough to chew on for a while! Thanks guys! I'm looking for something that I can hide the modern tach in...the engine is actually not an I/O, but a SportJet. 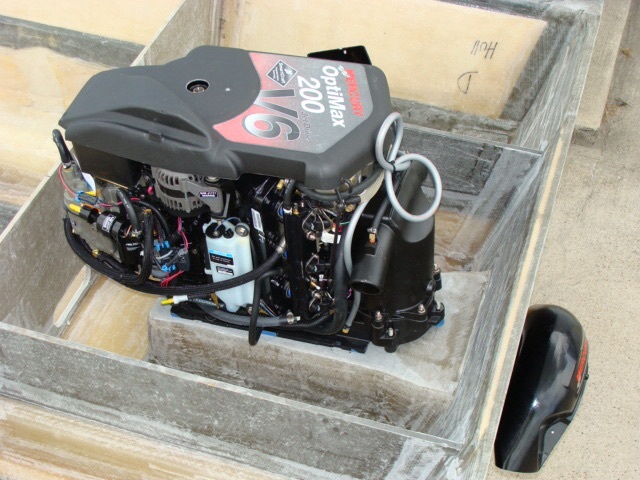 It's a Mercury optimax outboard power head on a jet. I liked the old Volvo but I really want a jet for the area where I live. Hey, that's a nice setup, I like it! Something like that is what I'm looking for...I'd like to have a spot for a few switches. I'd like to have the running lights, bilge pump, and windshield wiper switches on the panel. I think I'll only have the one gauge...possibly a fuel gauge. Well, if you'd like this one, I've decided to do something different on the Stardust so I'm taking it off. Was going to put it on eBay, but you can have it for $25. Having trouble emailing pics, so I'll post here. Took the panel off today and tried some polish on a spot. Looks like it'll clean up good, it's stainless. Meter hole measures 3 1/4"
That looks great. The gauge requires an 85mm hole...which is like 3 and 11/32nds inches. This is the gauge I'm looking to use, although I think I'm going to install a black gauge. This one says it is 3 1/4"...hmm. It will probably fit. I think you may have to shave a little out with a dremel, as the hole is on the skinny side of 3 1/4 anyway. That gauge looks like it's pretty much all you'd need. Isn't it amazing? I was going to get an old school dash panel like this Mercruiser Panel and figure out how to wire it up so I could use the tach but the smartcraft system is amazing! I like the fact it monitors all your engine vitals and tracks fuel consumption. BTW thank you Subaru Scott! Please post pics after the install. I just got the Stardust out for her maiden (for me) voyage this afternoon, and she did great. Will post an update tomorrow.